furnishings to help our guests feel at home. We strive to have each one of our rooms be uniquely decorated and spotlessly clean. 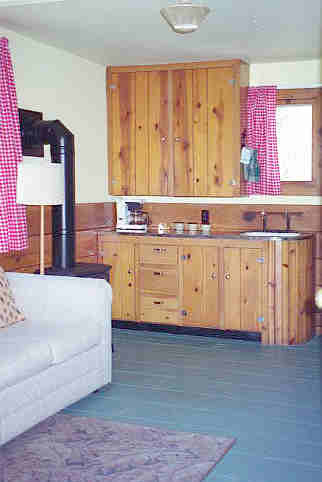 One cabin is in a garden cottage style, the other is decorated as a cabin in the woods.